Relcom's PCDSP6TEL DSP Board is a special DSP board for very complex signal porcessing application with versatile, 100% user defined resource allocation capability. 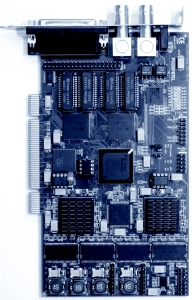 The board is a telecommunication optimized platform for PCM signal processing applications. Complete 16-channel E1/T1/J1 receive/transmit processing capability, one-channel DS3/E3 receive/transmit processing capability.